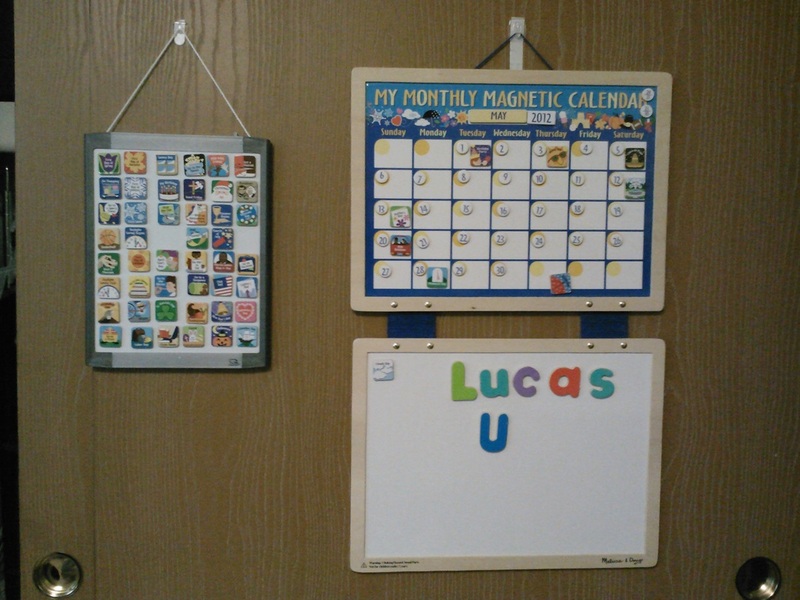 Melissa and Doug makes this awesome Magnetic Calendar and Bulletin Board, that I've hung in Lucas' room (the dry erase board on the left doesn't come with it), and we do "Calendar" almost every day. We sing the days of the week, spell his name (the letters are Melissa and Doug's Wooden Magnetic Alphabet), talk about upcoming special days, and talk about the weather. The bottom portion is a magnetic dry erase board, so you could practice writing if your child is old enough to do so. Lucas is learning lessons in responsibility, being considerate of others' property (you can see how close together the plots are! ), growth, and life. 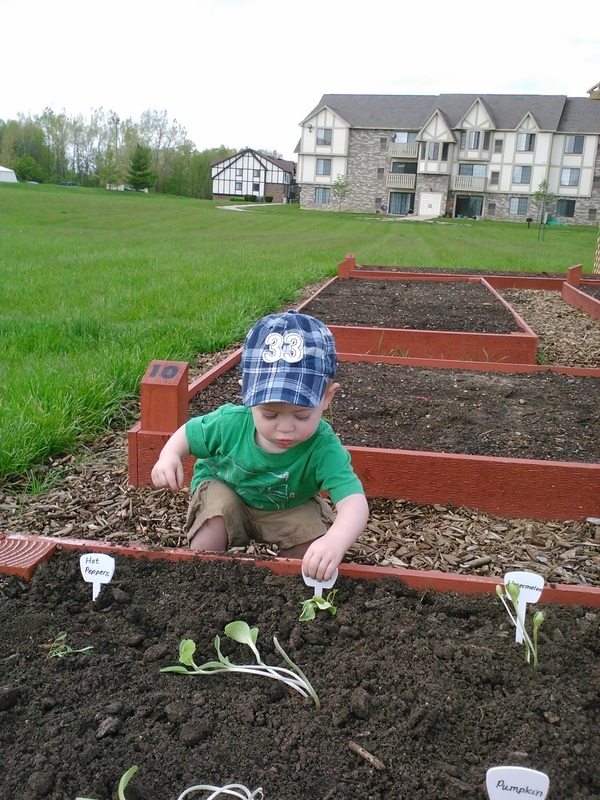 He loves being outdoors, and I can't wait until we can harvest the vegetables we've grown, and I can teach him about the importance of eating fresh, healthy foods. If you don't have a place to grow a "big" garden, try starting small with a potted plant, herbs, or a small veggie plant in a window box. Children love to see things grow and bloom, and you'll find yourself a happier person, too. In Lucas' learning environment, nearly everything is labeled. 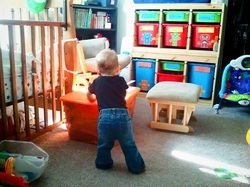 From his changing table to toy shelves and bins, words are everywhere. I just type or handwrite the labels, and laminate them. You can buy a single-page laminator for about $20, or see if your local office supply store can do it for you. As he gets older, I will begin labeling more things (like doors, windows, cupboards, etc), to allow him to see that things have names, and names have words, words have letters, and letters have sounds (okay, I think you get my point).